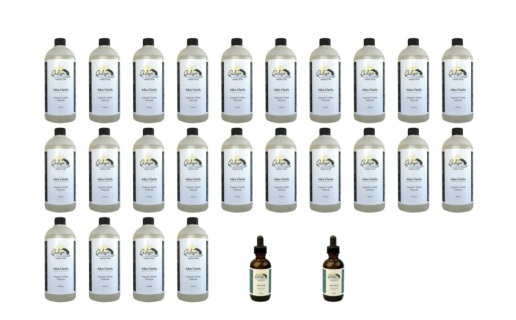 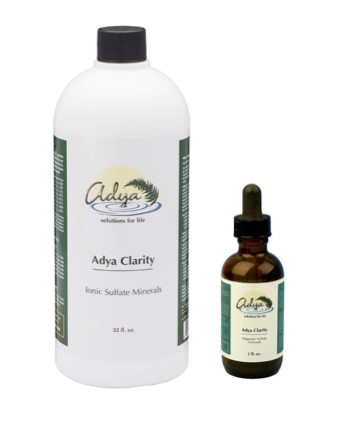 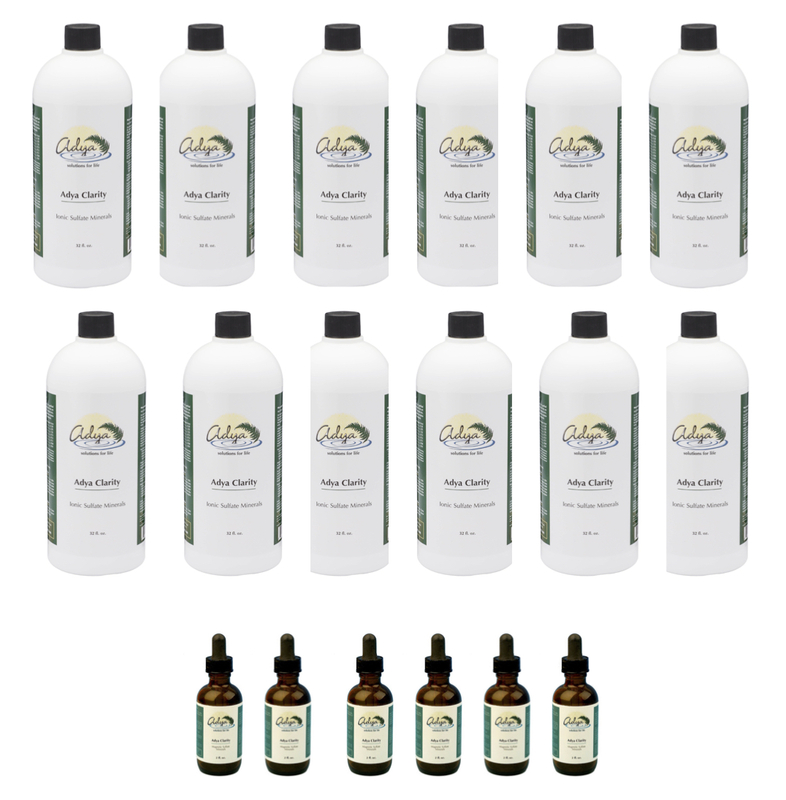 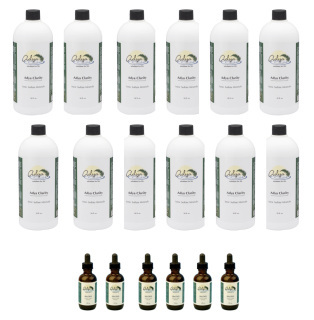 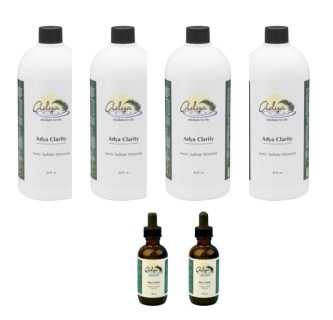 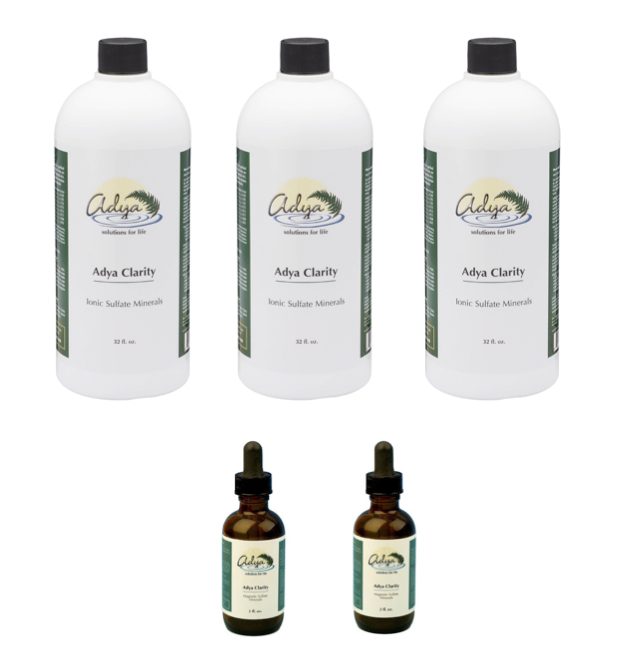 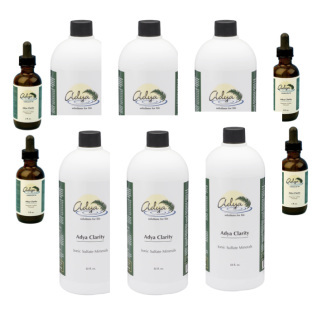 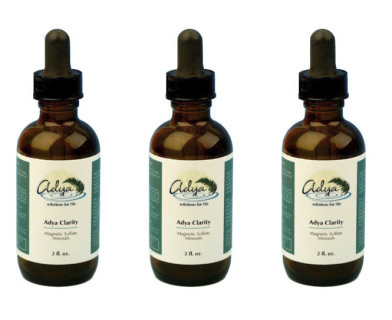 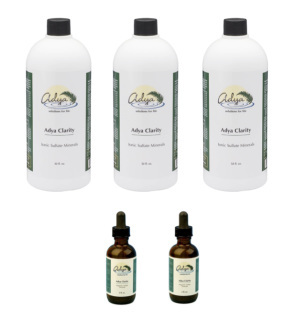 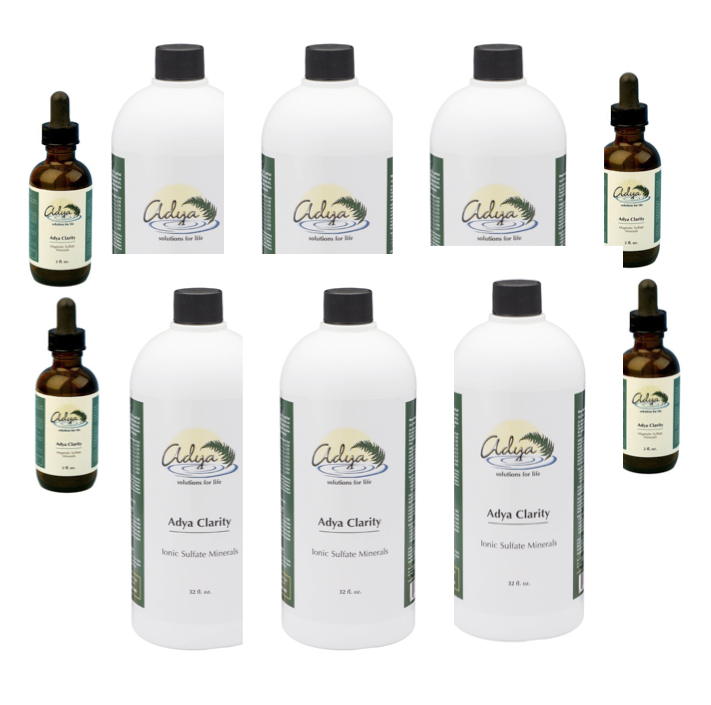 2oz Adya Clarity Magnetic Sulphate Minerals, treats up to 15gal of water, total 45 gallons for 3 bottles. 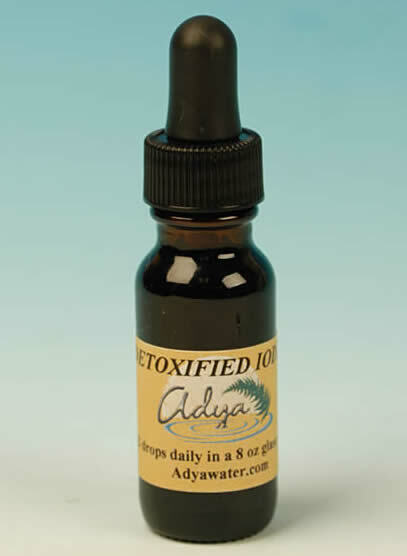 32oz Adya + Free 2oz Adya + Free US shipping 44% off! 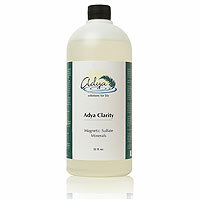 Adya Clarity Magnetic Sulphate Minerals, lasts up to 3,180 gallons of water. 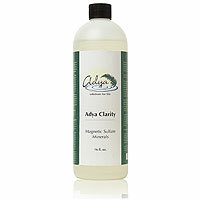 Adya Clarity Magnetic Sulphate Minerals, lasts up to 6,360 gallons of water. 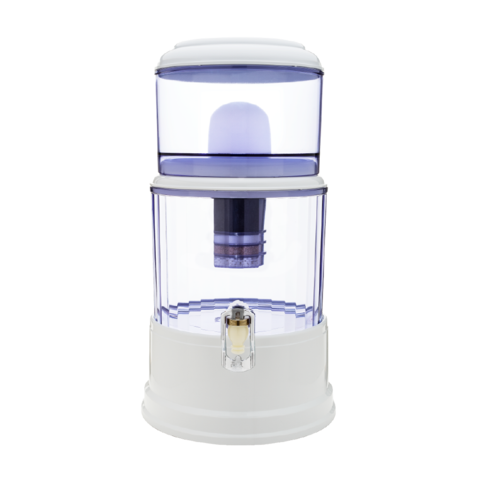 Buy An Original unit from us, made in Korea. ** International Orders available too, please EMAIL ME for shipping quote. 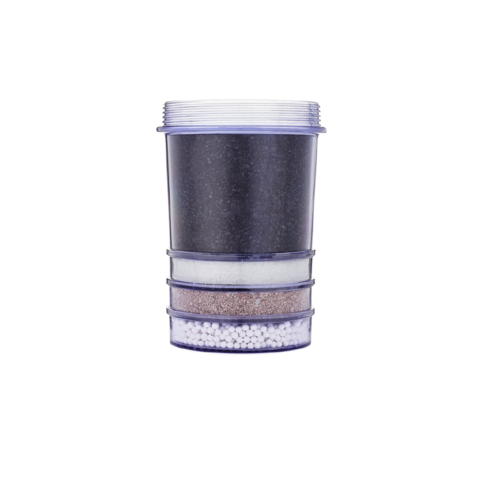 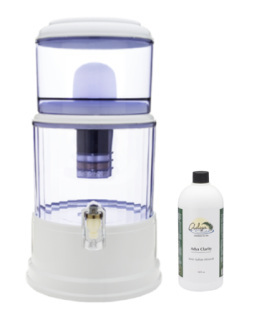 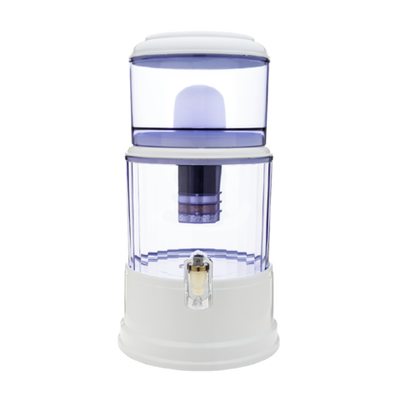 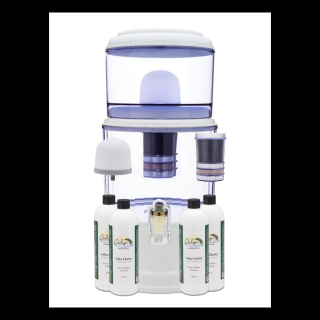 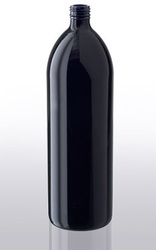 This free-standing, no electricity needed, gravity water filtration system includes a 0.2 micron ceramic filter, a multi-level filter of raw earth including activated carbon, and zeolites, and 4x16 ounce bottles of Adya Clarity® (retail value of $240). 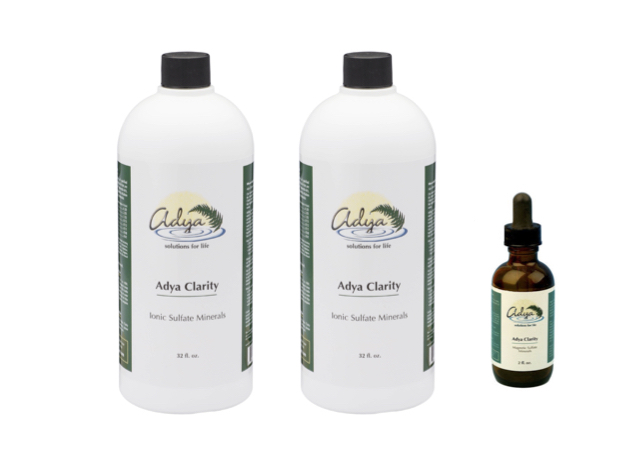 * Adya Clarity 'Case Special prices' are not valid in Canada, only singles or three packs. 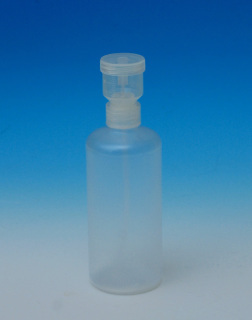 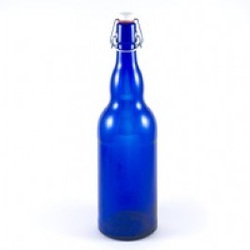 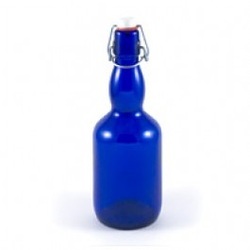 Special Easy Measurement Squeeze Bottle, Patented, 8oz: $24.95/ea (normally $30), will last forever, prevents wasting your Adya, and will help you measure the exact serving per gallon. 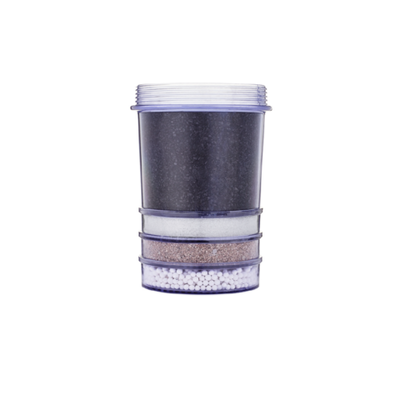 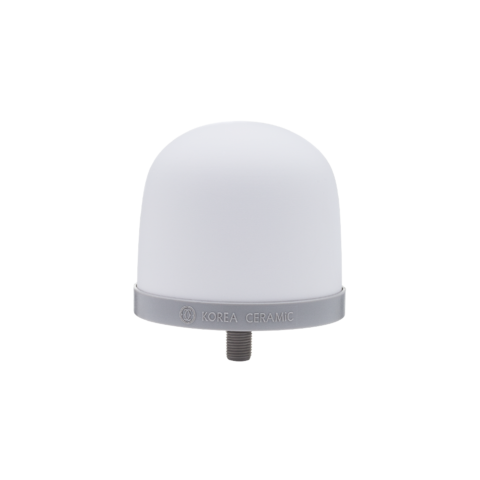 Easy to use, HDPE plastic, non-leaching, has a measuring cup on top with gradients.